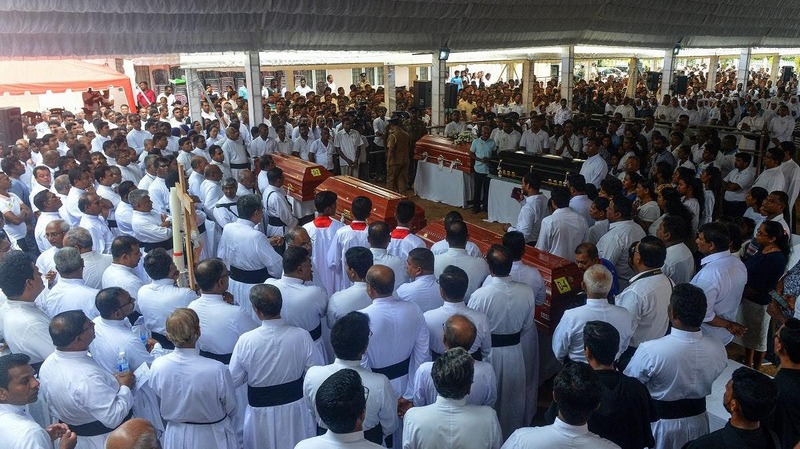 A series of deadly bombings in Sri Lanka became one of the worst acts of violence the country has seen in over a decade. The last time such high profile attacks happened were during a protracted civil war with separatist militias. Praying among the graves at a cemetery in Negombo, Sri Lanka, on Tuesday. Join our live blog for news, reaction and analysis of the bomb attacks in Sri Lanka. 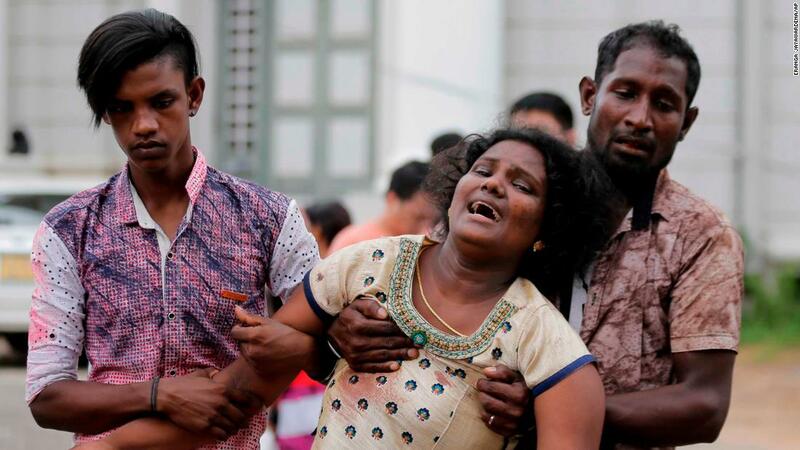 Hundreds of people were killed or injured when a series of blasts hit luxury hotels and churches across Sri Lanka on Easter Sunday. 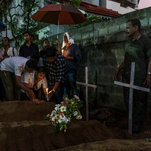 Relatives lighting candles on Monday after the burial of three family members who died at St. Sebastian's Church in Negombo, Sri Lanka, during a bombing on Sunday. A new explosion has been reported in Sri Lanka, following six blasts in churches and hotels earlier on Sunday, according to police. It hit in the Dehiwala suburb of Colombo, killing two people. Sri Lanka has blocked Facebook, WhatsApp, and Instagram after Sunday's attacks left hundreds dead. The government fears the spread of inflammatory "false news reports" online could spur more violence. Places of worship are soft targets, but the attacks Sunday suggested a level of complexity not seen since the civil war between the government and the separatist Tamil rebels that ended in 2009. The Tamil rebels pioneered modern suicide bombings, assassinated political leaders, and targeted civilians. But that conflict was also ethnic in nature: the majority Sinhala community versus the Tamil rebels. Since then, religious violence has been rare—and when it does erupt, it is typically restricted to Buddhist-Muslim tensions. That’s partly why the Easter assault by an obscure group on Christian places of worship is so surprising. “It doesn’t make sense,” C. Christine Fair, an expert on terrorism in South Asia and an associate professor at Georgetown University, told me. She said that National Thowheed Jamath had never attacked churches previously. 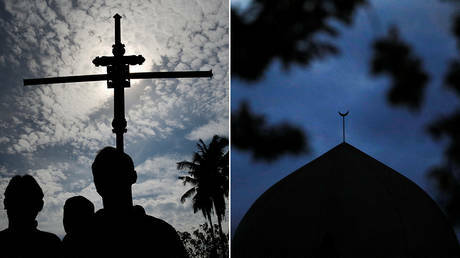 Moreover, Sri Lanka has generally not seen tensions between Muslims, who make up 10 percent of the population, and Christians, who are about 7 percent. It’s far more likely, Fair said, that an outside group, such as the Islamic State or al-Qaeda, based in the Indian subcontinent is involved in some way. No group has so far claimed responsibility for the attack. 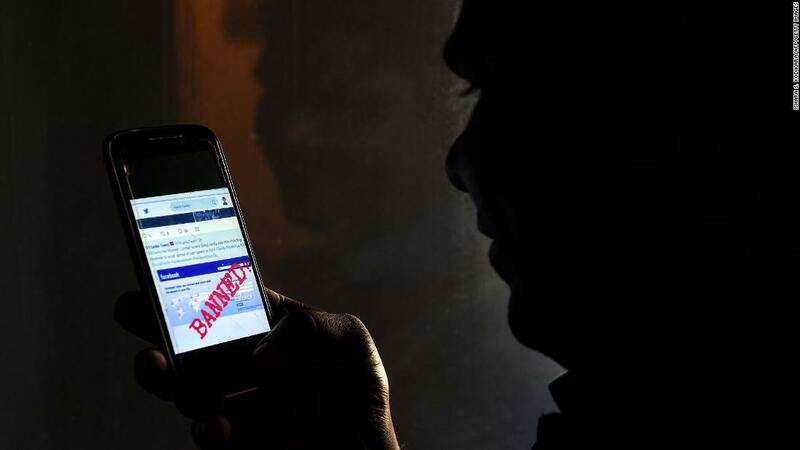 The Sri Lankan government, which imposed a social media blackout after the attack, has blamed National Thowheed Jamath and arrested several people. 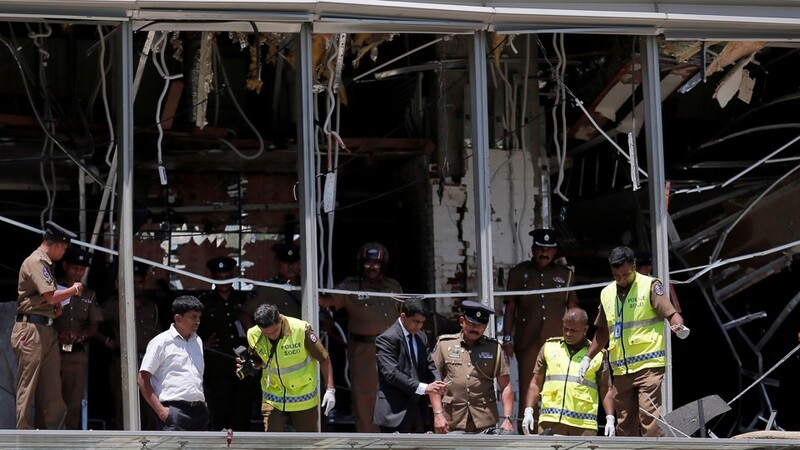 Rajitha Senaratne, a spokesman for Sri Lanka’s cabinet, told reporters Monday that there “was an international network without which these attacks could not have succeeded.” He did not elaborate, nor did he provide evidence. It is not yet clear what, if any, links National Thowheed Jamath has with ISIS or other terrorist organizations. But jihadist groups have made successful inroads in parts of the world where they previously have had little influence, such as in the Philippines and Indonesia. They have used online propaganda to radicalize disaffected youth in Europe; have recruited from existing organizations, such as the Taliban in Afghanistan and Boko Haram in Nigeria; and have stepped into the security vacuum in places like Libya. Indeed, Sri Lanka acknowledged in 2016 that 32 Sri Lankan Muslims had joined ISIS, a tiny fraction of the country’s overall Muslim population, but significant enough for the country’s government to have taken notice. It is not known whether any of them has returned home. Additionally, operations like the one in Sri Lanka require expertise and planning. Militants have to be radicalized, recruited, and trained to carry out an attack of that magnitude. This suggests the existence of safe houses, planning cells, and bomb-making equipment and materials—all hallmarks of a well-organized group. “You don’t roll out of bed and decide to martyr yourself in a suicide-bombing attack,” Bruce Hoffman, an expert on terrorism and a professor at Georgetown University, told me. In hindsight, an attack at this particular moment in Sri Lanka should not be a complete surprise. Tensions between the majority community and Muslims have risen since the civil war ended; political rivalries have hobbled governance; and in the aftermath of the bombings, it has emerged that there were warnings—several of them—about an impending attack. That sentiment grew more acute, fanned mostly by misinformation spread via social media, and spilled over into violence in March 2018, when Buddhists attacked Muslim-owned businesses and places of worship. At least two Muslims were killed. Even during that period, Prime Minister Ranil Wickremesinghe and President Maithripala Sirisena reportedly did not communicate. The two men are bitter enemies whose rivalry pushed Sri Lanka into a constitutional crisis last year that was resolved only through the Supreme Court’s intervention. In the wake of the Easter bombings, a reporter who covered the Sri Lankan civil war unpacks some pressing questions. 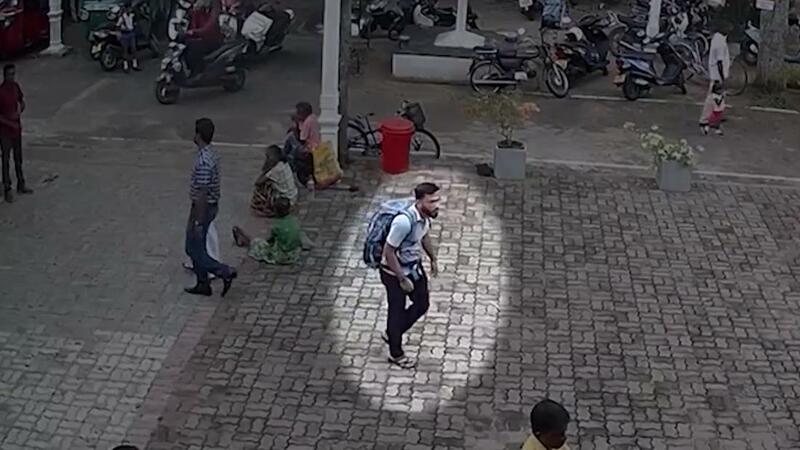 A van parked near a Sri Lankan church has exploded in Colombo on Monday, as bomb squad officials were trying to defuse a new bomb found by the site, police said. The serial bombing of Christian churches and hotels in Sri Lanka may have been an act of retaliation for the gun rampage at mosques in Christchurch, New Zealand, a Sri Lankan minister said citing the initial investigation.